RAVENOL Performance Truck SAE 10W-40 is a semi-synthetic, low-friction, long-life multi-grade diesel engine oil for highly loaded diesel engines with and without turbocharging based on MC-systems. Part of our UHPD (Ultra High Performance Diesel Oil) range, it provides higher performance levels compared to conventional engine oils. 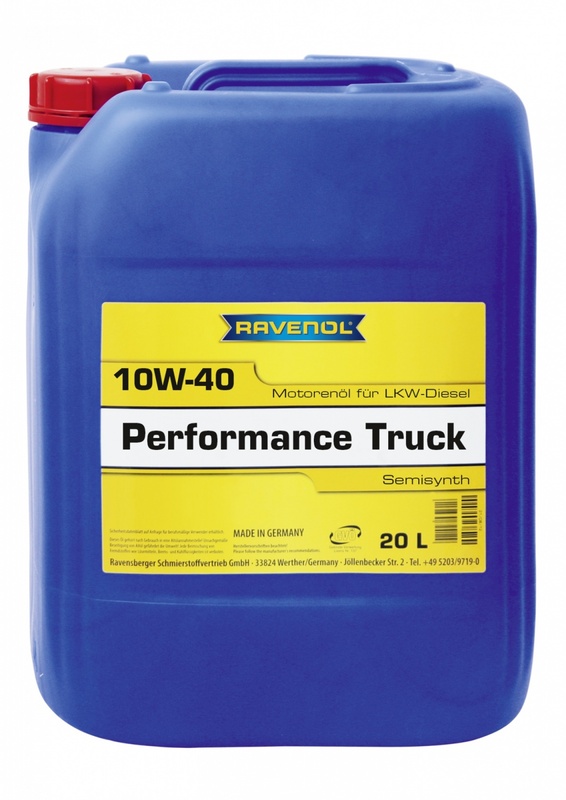 RAVENOL Performance Truck SAE 10W-40 is suitable for all diesel trucks, buses and machinery with and without turbocharging. It is also suitable for high mileage and older vehicles, though we recommend changing without rinsing. Oil change intervals can be extended to the maximum permitted by the manufacturer.